You've probably heard of Botox, the revolutionary prescription medication that instantly banishes frown lines, forehead furrows, smoker's lines, and crow's feet. But are you familiar with Xeomin? Maybe not -- but you absolutely should be! Just like Botox, Xeomin treats dynamic facial wrinkles. Both Botox and Xeomin work by temporarily attaching to nerve endings and blocking the release of acetylcholine, a neurotransmitter that triggers facial muscle contractions. The result is that facial muscles relax, and dynamic wrinkles (also known as kinetic lines) are smoothed away. The positive aesthetic effects begin kicking in between one and seven days after treatment, and they last between three and four months. What's more, both Botox and Xeomin not only treat existing dynamic wrinkles, but they also can prevent new ones from forming! This is especially true if you begin using Botox or Xeomin on wrinkles that haven't quite set in yet (static lines). So the entire aesthetic dermatology industry is starting to see requests from younger patients using small amounts earlier rather than waiting until they develop deep facial creases. They have found that, as time goes on, consistency with injections results in facial muscles becoming weaker, so you can go much longer between treatment sessions! So is Xeomin the same as Botox? Botox contains complexing and accessory proteins that surround botulinum toxin A. These proteins are used to preserve it. Xeomin, on the other hand, doesn't contain these extra proteins. Patients are less likely to develop antibodies to Xeomin. Because Botox contains added proteins, some patients could theoretically become immune to Botox over time (become a "non-responder"). 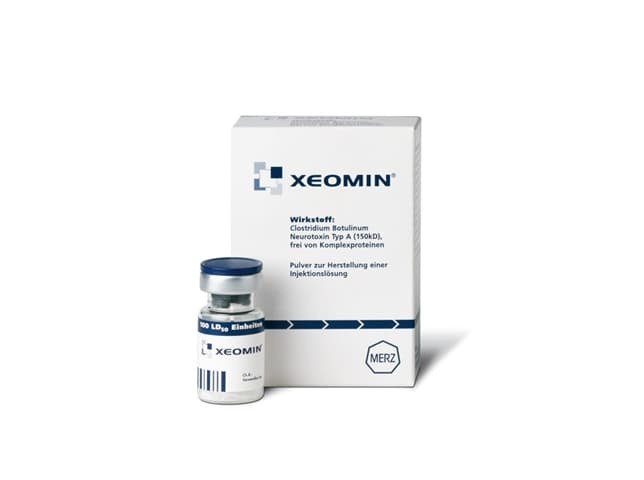 But since Xeomin is a pure product, patients are far less likely to become resistant to it. Xeomin's anti-aging effects kick in just a little faster. When Botox is injected into skin, the botulinum toxin A has to unravel from the added proteins before it can bond to facial muscles. But since Xeomin doesn't contain additives, it bonds to facial muscles right away. The result? Xeomin works faster to reduce the appearance of dynamic fine lines and wrinkles. Botox requires refrigeration whereas Xeomin can be stored at room temperature. Because of this, Xeomin has a smaller likelihood of becoming unstable and ineffective and is less expensive to ship. Botox tends to be more expensive. Because of a variety of reasons, including how the products are manufactured, marketed, and shipped, Xeomin is usually cheaper than Botox. It all depends on your unique needs. Since the two products are exceedingly similar, both have well-established safety records, both are administered the exact same way, and both last the same amount of time. Many patients make their decision between the two based on the price. Botox is more well known and there is a premium price associated with that powerful branding while Xeomin, as a newer player in the neuromodulator market, is becoming very popular because of its cost-saving advantages -- so you really can't go wrong with either! Simply consult with your medical provider about whether Xeomin is right for you. 1. "Everything You Need to Know about Xeomin, the Botox Alternative," InStyle, December 31, 2016. 2. "Is There a Difference between Botox, Dysport, and Xeomin?," Charlotte's Book, n.d.
3. "What is the Difference between Botox, Dysport, and Xeomin?," Kim Ann's Beauty Black Book, n.d.